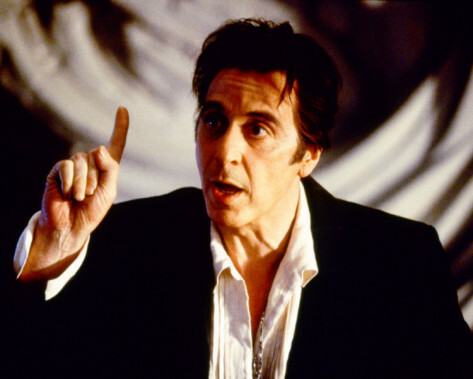 “The worst vice is advice,” Al Pacino in the movie, The Devil’s Advocate. For years, there was a rumor circulating around the United Airlines hiring process that pilot applicants, (if they were from out of town and staying in the designated hotel) could never be seen out of their hotel room unless they were in a suit. Even if they went downstairs to work out, they would have to wear the suit to the workout facility in the hotel, change into their workout gear, exercise, and then change back into the suit. The rumor was completely false yet it had been perpetuated from one applicant to another until you actually had people wearing suits down to the gym. On the other hand, there has been another longtime rumor that if you were applying at United Airlines, the interviewers would like to see you in a blue suit (for males) and similarly appropriate colored attire for females. Whereas, if you walk into an interview with Southwest or Frontier wearing a blue suit you did not give a great first impression because you reminded the interviewers of a United employee. I verified this, repeatedly, from several hiring authorities at United, Southwest and Frontier. Those individuals have also all told me that the suit was not the make or break decision as to whether an individual got hired, but the wrong suit did tend to have an impact on the first impression. Let’s play a quick game: what do the following statements have in common? Playing Mozart’s music to infants boosts their intelligence. If you guessed, “They are all false statements,” then you are right. Some of our most common perceptions are not only wrong, they are continually promoted as facts, often by prominent people who never bothered to check their references. And if you’re curious about my source of this knowledge, here’s the reference (Lillenfeld, 2010). But you shouldn’t just take my word or Lillenfeld’s word – you should check his references too. One of the advantages of doctorate level education, or of writing textbooks, or of just getting older, is you learn to be critical of what you’re told. As a you pursue your career in the aviation industry, you are going to hear tons of information about how to do everything related to the job search. You will hear all sorts of stories about what “they” want. But who the heck is they??? They could be a lot of different people and all of them have different ideas about what they want to see in a job applicant. The problem is, much of the advice out there today, is based on assumptions, one-time successes that aren’t repeatable (by you or anyone else), random things posted on the Internet and even family members from two generations ago, because, that’s how it was in their day. This is not to say that the older generation does not have valuable advice, they do, you just need to be assess whether that advice still applies today. Even career coaches and employers will give you conflicting advice and they are supposed to know better! So how do you know what to believe, and what you should do? First, understand that you will never please everyone. I have been a career coach and instructor of the university’s Aviation Job Targeting class for 20 years. I can sit down and review your resume, and then another career coach can review the same resume and have a different opinion of what should change. Who is right? It depends on who you are going to send your resume to and what their expectations are. In reviewing resumes, what myself and another similarly qualified career counselor will typically agree on, is that while you will never achieve the perfect resume, there are certain fundamentals that, if you adhere to them, will get you a good result that works in most cases, and with most everyone. That should be your goal. Who is the person telling you this information? What’s their level of knowledge? How long have they been in the industry? Where did they get this information? Who is their source? How close are they to the source, or are THEY the source? Does it make sense? Sometimes things are just outrageous and make no sense at all. If it sounds ridiculous, then revisit items 1 and 2 above to determine if it’s true. There is a final test to this information and that is: Does it work? But to assess this, you either have to try it, or see demonstrated proof from others that it not only works, but it’s repeatable and repeatable by more than just the one person that pulled it off. Also, is it repeatable in a variety of circumstances, or only in one particular set of circumstances? Relating to item number one, who: there are basically four types of people you will come across in your job search. Hiring authorities, direct referrals, connectors and everyone else (Asher, 2011). A hiring authority is obviously your best source of information, followed closely by individuals who have been a hiring authority at that same company. Direct referrals are usually people that work for the company and can walk your resume into the hiring authorities office. Connectors are people who typically seem to know everyone. These are valuable people to know as they can often give you a lead on a job, connect you with Direct Referrals, and many times they do have some good insights into the hiring process at various companies (or they know who to ask). Everyone else includes friends and family, your barista at Starbucks, or if you’re like me, the person sitting next to you on the chair lift at Arapahoe Basin during spring break. You may be surprised just how many people someone else knows. When you are vetting information or knowledge that you’ve been given, assess which one of these aforementioned four categories the person who is giving you the information, fits into. Typically, hiring authorities and direct referrals are going to give the most accurate information. But don’t discount connectors or everyone else. Sometimes the opinion of the one has it exactly right, depending on who that one person is. At some point, when you start hearing the same thing from many sources, you can probably settle on the information as being pretty accurate. And once you think you’ve got it all figured out, remember that things always change. Continue to talk to people, ask other people questions about things you’ve heard, and pretty soon you’ll have a fairly accurate picture of the realities is in the industry today, and what they want to hear. Lilienfeld, S. O. (2010). 50 great myths of popular psychology: Shattering widespread misconceptions about human behavior. Chichester, West Sussex: Wiley-Blackwell. Asher, D. (2011). Cracking the hidden job market: How to find opportunity in any economy. Berkeley, CA: Ten Speed Press.